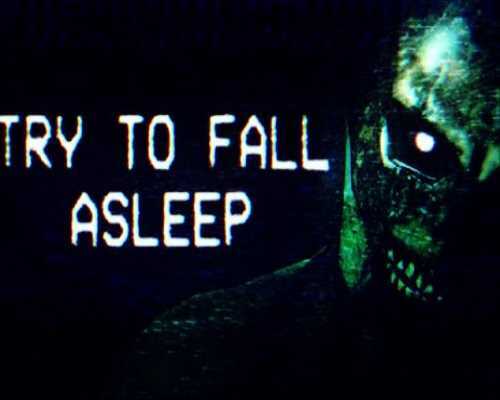 Try To Fall Asleep is an Action, Adventure and Simulation game for PC published by AmberDrop in 2019. Keep your character calm to sleep! Do something to have your character’s mind peaceful in order to fall asleep and dream. John Herrin survived a horrible accident and as a result, he damaged his brain and lost his memory. Only Dr. Rick Norberg and the friendly robot “AB” can help John to recover from his brain damage and restore his broken memory. By falling asleep and rediscovering the past in his dreams, John can restore his memory and remember what caused the unfortunate catastrophe in one of the most secretive laboratories of the “Revivel” company. “Try to Fall Asleep” is an indie horror game. The main goal of the game is to fall asleep before the time runs out. The brain damage from the accident won’t help, since it’ll make you hallucinate terrible things. Once you fall asleep, you’ll start to dream and relive the horror that lead up to the horrific catastrophe. At its core it has an interesting story with a very deep and intriguing lore. 0 Comments ON " Try To Fall Asleep PC Game Free Download "